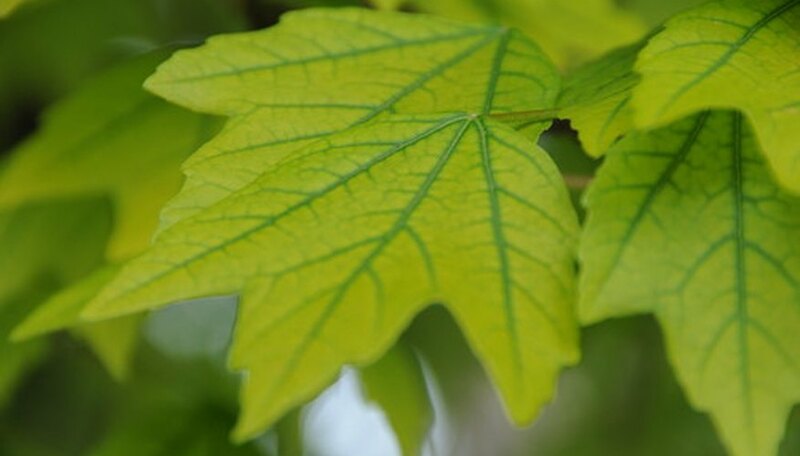 Photosynthesis is the process by which certain organisms, including plants, create sugars from the carbon dioxide in the air and the oxygen atom of water. The energy that drives this process comes from light. There are two phases of photosynthesis, the light reactions and the light-independent reactions, also called the Calvin cycle. The energy present in a single photon, which is a single particle of light, is too much for a plant to use at once. Instead, when certain chlorophyll molecules absorb a photon, it excites a pair of electrons, which are then passed through a series of molecules that make up the chain, which indirectly leads to the production of ATP and NADPH. PQ, short for plastoquinone, is a molecule in the electron transport chain. It is the second molecule in the chain, receiving the electron pair from pheophytin and passing it on to the cytochrome b6f complex. PC, short for plastocyanin, is a copper-containing compound in the electron transport chain that accepts the pair of electrons from the cytochrome b6f complex. Plastocyanin’s dependence on copper is one reason that copper is a vital nutrient for plants. FD, short for ferredoxin, is a protein that is not involved in the electron transport chain, but is still involved in the light reactions. This enzyme moves electrons excited by a different molecule of chlorophyll than the electrons from the electron transport chain to the enzyme that stores this light-derived energy in NADPH. Contributor. "What Is PQ, PC, & FD in Photosynthesis?" Sciencing, https://sciencing.com/pq-pc-fd-photosynthesis-5568970.html. 24 April 2017.